Wow, I don’t even know where to start. I remember being late the first day because I went to the wrong classroom. As a first time pseo student, I didn’t know what to expect from a college level English class. When I was first told that pretty much the entire class would be built around a blog, I didn’t know how to feel. At the beginning I was more against the idea than for it, but only because some of the articles we had to read were lengthy and dull. Soon after, we began receiving interesting articles that made the whole concept of the blog more enjoyable. In all honesty, I progressed a lot from my blogging experience. My writing improved, my reading comprehension improved, and I learned that time management is key. I will admit that I fell behind on some things, but now I will take those mistakes and work hard to make sure it doesn’t happen again. I think that my biggest takeaway from this blog was learning how to write posts knowing that many other people would be reading them. This taught me ways to include my readers, entertain them, and make my information crystal clear. This semester has been an incredible journey and I would like to thank all those who were with me every step of the way. Goodnight! For my last weekly post I will be doing a recap of my final project, talking about why I chose a travel guide, and what I hope the audience will get out of my project. Looking back at my final project, I am very satisfied with my work. I began this project by taking my readers to the Cliffs of Moher in Ireland. Along the way we stopped in Algarrobo, Chile, a resort town near the ocean to relax and unwind. Next we took a ride on the biggest Ferris wheel in the world, the London Eye! After, we flew down to Peru to visit the ruins of Machu Picchu (and drank more than enough Inca Kola). To burn off the calories from all the Inca Kola, we then traveled to Bariloche, Argentina to get a good amount of skiing in! Realizing we had money to spare, we made our way to La Rambla in Barcelona, Spain to shop in all the markets lined up along the street. After using up almost all of our cash, we used our last ten dollars to buy a ticket for the Louvre Museum located in Paris, France to see the Mona Lisa. Finally, since we could not get enough of Europe, we decided to finish out our world tour eating pasta carbonara in the heart of Rome, Italy. Now I would like to take some time and talk about why I chose to do a travel guide blog. My number one reason is because I absolutely love to travel. I love seeing the differences and similarities between the U.S. and other countries around the world. I love taking in all the scenery the earth has to offer. I also love getting lost and exploring cities, villages, beaches, etc. The other reason I chose to do a travel blog is because I have been very fortunate to have been able to visit all the places I talked about in my final project. This meaning I have a lot of knowledge on what I wrote in my blog. The final reason I chose travel as my topic is because it is fun. I get to reminisce my own experiences, and encourage others to expand their horizons, and create new memories that will last a lifetime. I truly hope that my audience benefits from my final project. I hope that they learn something new with each post, that they are entertained throughout my whole project, and that they find themselves checking flight times to their own dream destination. I hope that in future years they can say they’ve walked the streets of Dublin, stood at the foot of the Eiffel Tower, seen the Pompeii ruins with their own eyes, and tried France’s famous French onion soup. As for all the travelers out there reading my posts, I hope that you found a way to connect with me and my blog! Maybe you have already said to yourself, “Hey! I was there too!” or “Wow, I remember how much fun I had on that trip.”. In conclusion, I hope my audience enjoys my final project and soon find themselves writing about their very own trip. For my last official travel guide I will be talking about Italy. I decided to save the best for last! The same layout will apply to this post. Rome is one of the biggest touristic cities of Italy. Around four million tourists pay a visit to this city every year. 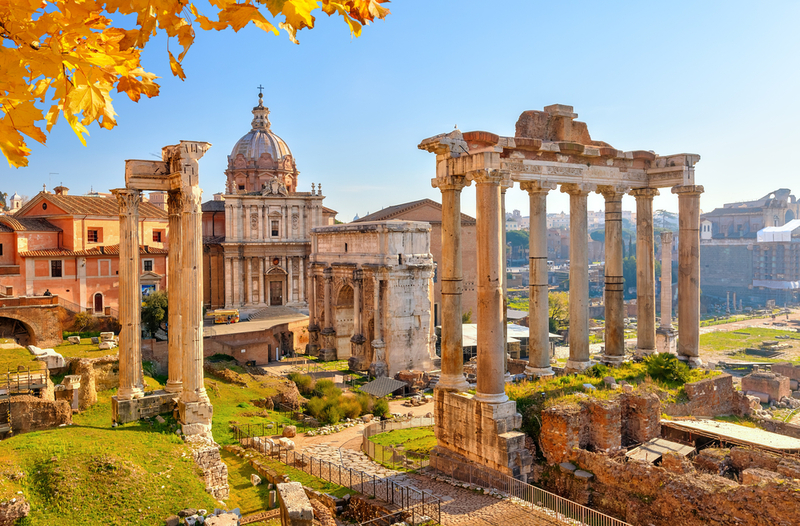 Rome was founded in 752 BC and is the center base of the Roman Catholic Church. I picked this place as a point of interest because there is so much to see. The number one thing I suggest you is spend a day in Vatican City (the smallest country in the world). Vatican City is surrounded by Rome and is home to the pope, and the Sistine Chapel where Michelangelo’s famous paintings are held. Other places to visit in Rome are the Colosseum, Trevi Fountain, and St. Peter’s Basilica. These spots are all known around the world. Trust me, you’ll never be bored in Rome. The next point of interest is Pompeii. With almost three million tourists coming every year, it is the world’s most visited archeological sight. 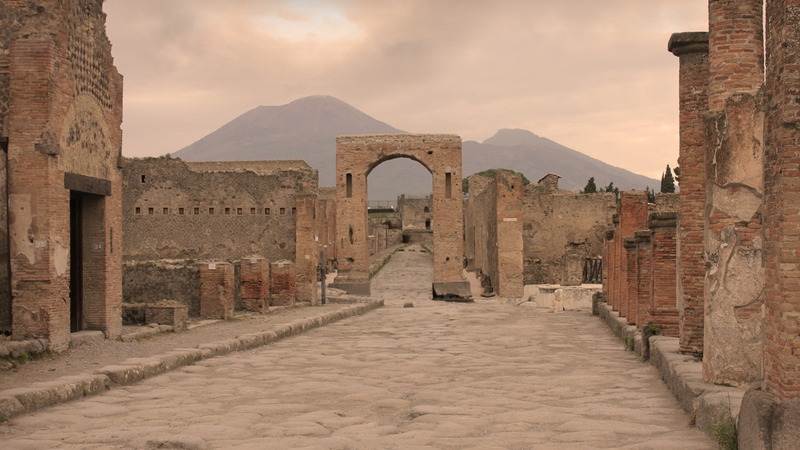 The reason Pompeii is so popular is because most of the city has been kept preserved ever since Vesuvius’s volcanic eruption that wiped out the entire population in 79 A.D. Even after all these years of archeological work, one third of the city still remains buried. Pompeii was where most wealthy Romans chose to vacation since it resembled a resort near the ocean. If you do visit Pompeii, you will be able to see many buildings still standing that can tell you the history of the way Romans used to live. This dish is one of the most famous pasta plates in Italy. Some people believe that this pasta was made as a comfort food for charcoal workers. The ingredients include spaghetti noodles, eggs, cheese, and bacon or pork cheek. The unique step in creating the creamy texture is to drop the uncooked egg yolk at the very end when the pasta is hot, and then let it cook on its own. The dish is then served immediately. In my own opinion, I believe that this pasta is the most delicious pasta ever made. Another very popular food throughout all of Italy is bruschetta. This plate is considered an appetizer and it originated in the 15th century. It is healthy, easy, and quick to make. This appetizer is made up of a baguette topped with basil, olive oil, garlic, oregano, salt, and chopped tomato. In the U.S. it is commonly served with mozzarella cheese too. A fun fact about bruschetta is, “Italians are so proud of this simple, but irresistible dish, that every year an enormous version is created for the Guinness Book of World Records” (Eva Perasso). 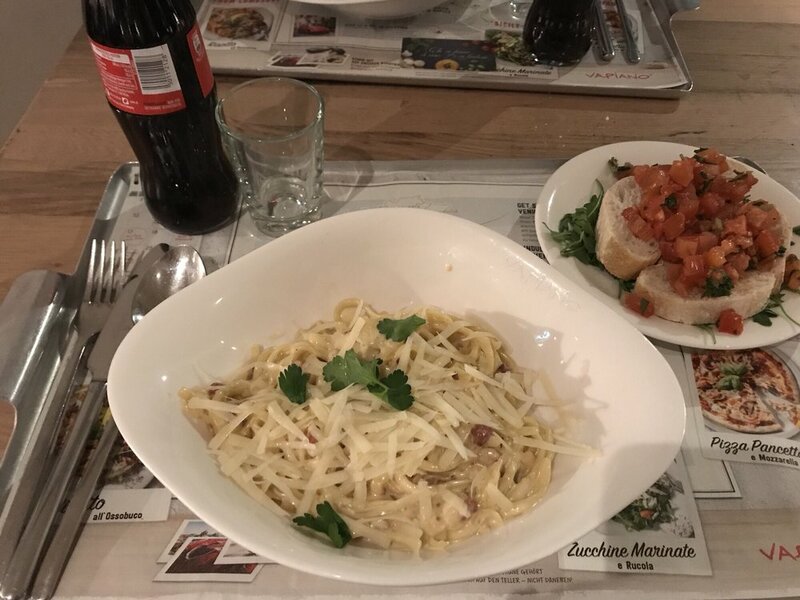 Nothing is better than some bruschetta followed by a pasta carbonara! There are several tips I can give you for your next trip to Italy. Starting with, you can not miss Vatican City. I repeat you can not miss Vatican City. I will also suggest to not travel to Italy during the summertime unless you are in dire need of a tan. Just like Spain and France, Italy gets very hot during summer. Bring a lot of water with you because trust me, you will be doing a lot of walking! Also bring a camera so that you can capture pictures/moments of you being in the greatest country in the world. Finally the last piece of advice I can offer you is to not go inside the Colosseum. The wait, and the price to enter is not worth it. If you ever do travel to Italy, bring me with! I would gladly visit this country all over again. This is the last week of the final project, so for my final analytical post I have chosen a travel guide that is run by a famous blogger, “The Blonde Abroad”. The post I will be talking about is titled “How to Travel New York City on a Budget“, by The Blonde Abroad (link in title). Besides the blogger being well known, I also chose this post because it will suggest things to do for people who want to be careful with their spending. This is important because New York City is expensive, and many people may feel like they might not be able to enjoy the city due to its high prices. The Blonde Abroad opens her post by naming some pros of New York City, but then moves on to tell us the one con that can outweigh all the pros: New York City is incredibly pricey. Although this statement has already done its damage, she tells her audience not to worry, and assures them that there are still plenty of ways to have an amazing experience in NYC for a lower price. After this introduction, The Blonde Abroad begins the purpose of her post. She starts out with affordable places to stay in city. She lists three places that are all under $100 per night! She is very clear to tell her readers that these places are all located in or near the heart of New York City. Next the author blesses her readers with free things to do in NYC. She names Times Square, Central Park, Grand Central Station, Staten Island Ferry, the Brooklyn Bridge, and more! All these places are known worldwide, and won’t cost anyone a cent. Now of course some money will be spent in NYC. Which is why The Blonde Abroad follows up with cheap things to do in the city. She tells us that the use of the subway system is a quick and easy way to get around the city. She also tells us that the pizza, bagels, and hot dogs are not to be missed because they are delicious, and will not empty your wallet. After this part of the post, The Blonde Abroad informs her audience on what they should skip in NYC. She names the Statue of Liberty and Ellis Island. At first when I read this I was shocked. I thought to myself, “How could you miss one of the most popular attractions in New York?”. Well, The Blonde Abroad makes a valid argument and says, “While there is something special about seeing the Statue of Liberty and Ellis Island, it’s an all-day affair and usually not that climactic. With the tickets starting at $18.00 and going up, it’s wise to save to your money and time”. The final pieces of advice the author gives is the places one should spend a fair amount of money on. She names the 9/11 Memorial, the One World Observatory, and at least one Broadway play. The Blonde Abroad wraps up her post with a small conclusion about how anyone can get around New York City’s prices as long as they are thinking their trip through. I just wanted to say that this blog post was my absolute favorite. It was incredibly helpful, organized, entertaining, and now has me planning my next trip to New York City. For my final post this week I will be doing a travel guide on Paris, France. As always, I will list two places of interest, two popular food items, and some tips of advice. Bringing in almost nine million tourists every year, the Louvre Museum is the most popular attraction in all of Paris, France. 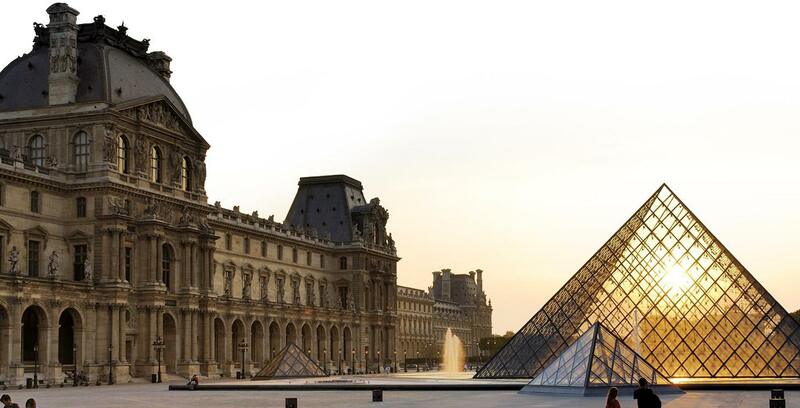 Not only is it big in Paris, but it is also the world’s biggest art museum (652,000 square feet). On top of that, the Louvre is home to the legendary painting of the Mona Lisa. With only good things said about the Louvre, one would assume that it is very expensive. Think again! The entrance fee is only ten dollars. If you are a person who loves art and history, the Louvre Museum will be a dream come true for you. I would not miss out on this experience! The Eiffel tower may not be as popular as the Louvre, but it still manages to bring in roughly seven million tourists every year. The tower was built in the 1880’s to celebrate the French Revolution. Standing at 1,063 feet tall, the Eiffel Tower offers visitors an incredible view of the city. A fun fact that I learned is that during the winter months the Eiffel Tower has an ice rink on the first floor! There are also two restaurants located inside the tower just in case you feel hungry after walking up and down so many stairs (don’t worry they do have an elevator). Wouldn’t you love to show your friends and family a picture of you standing next to this stunning monument? 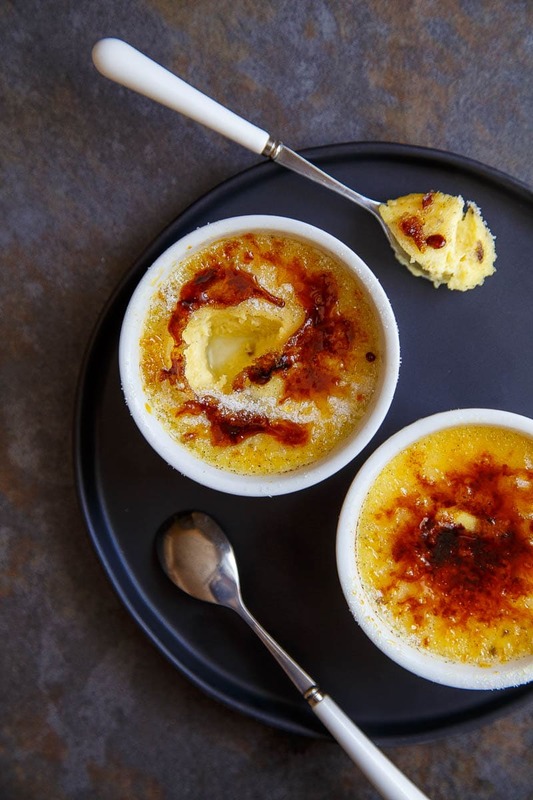 Crème brûlée (burnt cream) is a very popular dessert in France. It can be found in almost every restaurant. The dessert is made up of five simple ingredients including, cream, eggs, vanilla, salt, and sugar. It may commonly be mistaken for a pudding, but it is really a custard with a hard, glass like caramel topping. The most enjoyable part about eating crème brûlée is breaking through the hard cover to get to the vanilla custard. I think the reason I had so much energy in Paris was because I ate so much crème brûlée, and the sugar kept giving me energy! Another popular food is French onion soup. This soup actually originated in Paris, France itself during the 18th century. It is made from beef stock, caramelized onions, toasted bread, and grilled, shredded cheese. There is usually a piece of bread served with the soup for dipping. The soup may also be served as an appetizer, or the main meal. If you ever want real French cuisine, head down to Paris and order French onion soup. My first piece of advice for my readers it to avoid traveling to Paris, France during the peak of summer. It is very hot during this time, and since there is so much walking to do around the city, being in the heat for so long may make you feel ill. Another piece of advice is to be aware of pickpockets! “Thieves target tourists — not because the thieves are mean, but because they’re smart. We’re the ones with the good stuff in our purses and wallets” (Rick Steves). Also, make sure to see Notre Dame, the Louvre, and the Eiffel Tower. For any popular attraction, get your tickets in advance otherwise you may find yourself standing in a line for over three hours. I also suggest taking time to walk along the narrow streets that are filled with endless restaurants and little souvenir shops. My final tip for you is to spend at least four days in Paris. Sometimes I think people underestimate just how big the city really is! There is so much to see and do in Paris that is worth your while. For my first travel guide post this week I will be writing about Barcelona, Spain. I just recently traveled to Spain and thought it was a beautiful place to visit. Again, I will continue with my usual layout for this post. Located on Carmel Hill, Park Guell is an outdoor park that contains many gardens and pieces of architecture. With many paths/trails, there is a lot to see in this park, such as the Municipal Garden, the Doric columns, and the Colonnaded footpath under the roadway viaduct. Most of the architecture inside the park is made with ceramic tiling, and can also be very colorful. One path leads to a hilltop that rewards the tourists with an amazing view of Barcelona. Throughout the entire park, there are an infinite amount of people trying to sell you water. At first you may be annoyed, but after a good hike up the hill, water will be your best friend. 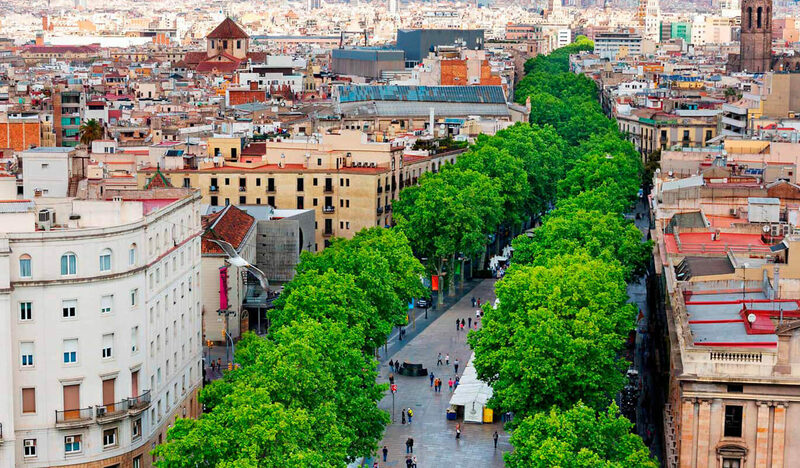 Located in central Barcelona, La Rambla is a tree-lined pedestrian street that is almost a mile long. La Rambla has two narrow traffic roads that run on each side of the street. During the high tourist season it can become very crowded due to the numerous areas packed with different shops, cafes, bars, and markets. There is much to see and do on this street, even sitting on a bench watching others pass by is an option. The popularity of La Rambla continues to grow as more and more tourists visit it every year. With its popularity rising because of tourism, it is becoming a well known place for pickpockets. Since La Rambla is one of the most famous streets in Barcelona, you must definitely visit it. Tapas originated from Spain in the 1200’s and have remained a popular food item among all ever since. Tapas are small plates, appetizers, or snacks that can be made up of almost any food (seafood, vegetables, breads, meats, eggs). They are served throughout the entire day, especially in bars and cafes. “If you’re spending time at the beach along Barcelona, stop by Tapa Tapa, a great spot for a tapas-filled dinner right along the water” (Kaeli Conforti). If enough is ordered, tapas can be combined to create a full meal during dinnertime. The prices of tapas vary depending on the ingredients used in them. In my visit to Barcelona, I ate tapas several times and I learned that you can be satisfied with just one or more tapas depending on the kind you order. Many outsiders tend to view paella as the national food of Spain. Paella is a rice dish that will contain almost anything that could possibly taste good with rice. In most pictures, the rice used in paella will look yellow, not white. The rice appears this way because there is also saffron mixed in with the dish. Some other popular ingredients of paella include chicken, pork, seafood, or vegetable. Paella Valenciana is favored the most. It is made with both chicken and pork. If you ever travel to Spain I recommend ordering paella right away so that you can find out if you absolutely love it, or hate it. I have been waiting this whole post to share my tips with you. I strongly advise you to never travel during the month of August because it is the hottest time of the year. I also suggest using your money for a taxi instead of a hop on hop off bus. This is because the bus will have no air conditioning, and is very slow to reach final destinations. Always wear comfortable shoes because there is so much walking to be done throughout the city. I also recommend carrying a good amount of cash with you because most small shops will not accept a credit card. After visiting Barcelona I began to tell myself that I wanted to study abroad there. It is a safe city with a lot of adventure included, and will never let its visitors or residents down. For my first post this week I will be writing about another travel guide post. “36 Hours in Chamonix“, by Paige McClanahan, is the post I will be talking about (link in title). This post can be found in the travel section of the New York Times. This travel guide opens some brief information about the history of Chamonix, France. The author then continues on to talk about the scenery, and what the winters in Chamonix can provide its visitors. After this introduction, the 36 hour journey begins. Paige starts this section of her post with an interactive map for her audience. There are 11 points listed on the map, that each are places she visited during her stay (keep in mind these places go in order). She moves on to tell readers the time and the day of the week she traveled to each particular place. On Friday at 3pm, Paige took a train to see the Mer de Glace, a frozen river that flows at a very slow rate. She tells us that you can also see many beautiful glaciers here, and even walk inside one. After her visit to the Mer de Glace, the author then took a walk around the village at around 5pm. Then 7:30pm rolls around and Paige names us the restaurant “Poco Loco”. She informs us about the decorations used inside the restaurant, and gives us a little information on the food that is served there. This layout continues for the rest of the post. Paige gives her audience the time and the day, and then talks about what she saw/experienced during that time. On Saturday she talks about her time spent skiing in the mountains, the exquisite meals she ate, and some of the night time activities Chamonix has to offer. Throughout her post, Paige is also including a good amount of picture to keep her readers more entertained. Sunday was the final day of her trip, so there was not much to do unlike the previous two days. Her Sunay morning started with a cable car ride that takes people from Chamonix to the top of the Aiguille du Midi. The Aiguille du Midi is a mountain that lies within the French Alps. Paige then ends her day by visiting a well known pastry shop, “Pie”. Here Paige begins her farewell to Chamonix with a sweet tart, a side salad, and some hot chocolate. Paige concludes her travel guide post with a small section on lodging. She talks about the different options one can choose to stay in (hotels, air b&b, apartment rentals), and what the prices are for each. After reading this post over and over, I think Paige did a wonderful job making her post very professional and beneficial for readers. I loved how she used times and days of the week for each paragraph she wrote. It kept the guide organized and made it easy to follow. I also enjoyed her use of recommendations so that one may not feel so lost if they ever do visit Chamonix. The strategies she used in this post are definitely some I could learn from and use later on in my own writing career. This week will only have one travel guide post because the earlier blog tour posts will also be included in week three. The destination of choice for this post is Argentina. Bariloche is a city in Argentina located inside the Nahual Huapy National Park, on the southern region of a lake that has the same name as the park. Bariloche is surrounded by mountains and lakes, and is one of the biggest tourist attractions of Argentina, with more than 800,000 visitors each year. Bariloche offers a wide range of options for outdoor activities all year long. During winter months, from June to August, tourists can enjoy a variety of winter sports including skiing, snowboarding, snow polo, mountain biking, and paragliding. The average temperature during this time is around 35 degrees. During the summer months, from December to February, it offers fishing, rafting, trekking, horseback riding, mountain biking, kayaking, and canoeing. The average temperature in summer is around 65 degrees. The city of Bariloche is also famous for its chocolate shops, crafted beers, tea shops, and its German and Swiss influenced cuisine. Cerro Catedral and Ski Resort. Argentina. Cerro Catedral (Mount Cathedral) is the biggest ski resort in South America. It is located less than 20 kilometers (12.4 miles) from Bariloche. Its name was given due to the resemblance of the top of the mountain to a Gothic church. The phenomenal views of Lake Nahuel Huapi and surrounding mountains can be described as breath taking, especially if you ski from the peak. The ski center allows visitors to experience skiing and snowboarding at the most popular resort in the Patagonia. The ski resort also includes a shopping mall, restaurants, and accommodations of more than 5,000 beds. The well kept roads allow easy transportation from the nearby city of Bariloche, or from the Bariloche airport. Curanto (hot stone) is one of the most famous dishes from southern Argentina. The preparation of this dish is done by digging a hole in the ground that contains hot stones covered by the leaves of two different trees. A variety of meats including beef, lamb, pork, chicken, sausage, and vegetables such as potatoes, carrots, squash, and peas are placed on top of the leaves. All of the ingredients are then covered with more leaves and pieces of wet fabric that are also covered by a layer of dirt to preserve the heat, and provide its smoky, earthy, singular flavor. Another popular food item from Argentina is Chimichurri. Chimichurri is not an entre, but instead is a sauce that accompanies the entre. Chimichurri is uncooked and is made from chopped parsley, garlic, olive oil, oregano and red wine vinegar. The two most distinctive flavors are parsley and garlic. Although chimichurri can be a sauce for almost anything, it is typically used with a variety of meats. I suggest ordering a side of Chimichurri at least once in your future trip to Argentina. I will start with a quote from another travel guide that says, “Argentina was a weird paradox. What is cheap elsewhere is expensive here, and vice versa” (Nomadic Matt). I have a few of tips of my own to give to the future tourists of Argentina. First, if you are the kind of person who loves winter, and winter activities, the best time to visit would be between June and August. 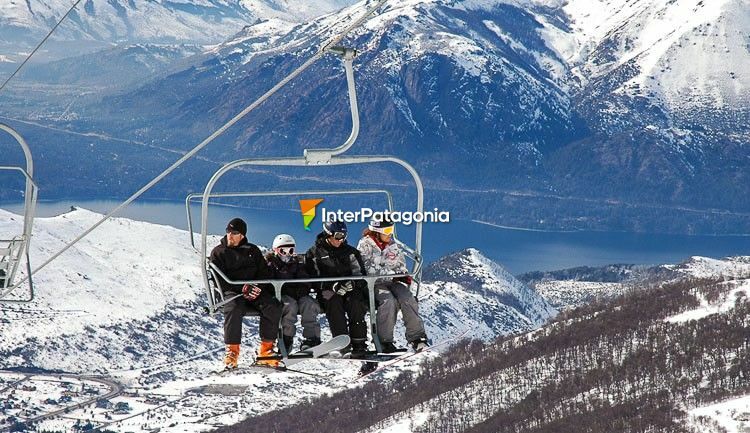 Ski resorts become popular around this time, especially the one located in Cerro Catedral. Second, I recommend bringing a high quality camera to capture the many astounding views Argentina has to offer. My final piece of advice is to enjoy the variety of food options Argentina can provide you while you are visiting. Since Argentina’s geography is so varied, I can guarantee that any visitor will have an unforgettable time. For this weeks final post, I will be writing about Peru. Just like all my other posts, I will be covering two points of interest, two popular food items, and some tips for the trip. Cuzco is a very popular city located in the south of Peru. This city is the ninth highest city in the world. At an altitude of 11,152′, Cuzco’s lack of oxygen can make many tourists feel ill. Regardless of the thin air, there is still so much fun and adventure in Cuzco. 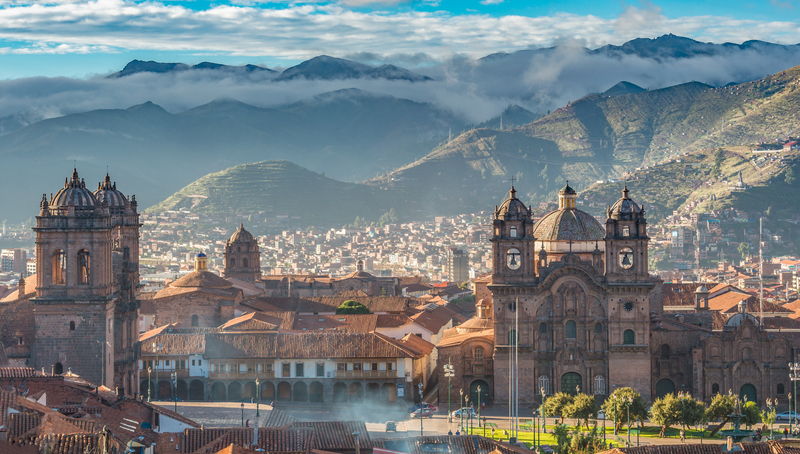 Many years ago, Cuzco was the capital of the Inca Empire. This leaves an endless amount of history in the city for tourists to indulge in. The historical architecture is the main thing that brings tourists to this city. Some recommended places to visit inside, or near the city are the Sacred Valley, and Coricancha. Cuzco holds many secrets, and is a city one can’t miss! Machu Picchu is one of the biggest touristic attractions in Peru. Machu Picchu is about an hour away from Cuzco, and there are many trains throughout the day that can take people to this extraordinary place. The history of Machu Picchu is intriguing for many. It is an Incan citadel (fortress) from the 15th century that was built at an elevation of 7,972′. For years Machu Picchu was abandoned, and left as a wonder to the rest of civilization. People from all over the world come to explore this amazing structure, and allow themselves to have their breath taken away by the view. The entire journey to Machu Picchu, and once you are there, is a mind blowing experience that should be done at least once in a lifetime. Ají de gallina is a Peruvian chicken stew. It is very popular among both the citizens of Peru, and the tourists. This dish consists of chicken, yellow chili, walnuts, peppers, garlic, spices, and turmeric. Most of the ingredients are cooked and then mixed together to create a delicious plate. This stew is commonly served with rice on the side to add more flavor. I remember the first time I ate out in Peru and my dad ordered this dish. I don’t think he ate anything else the rest of the trip. 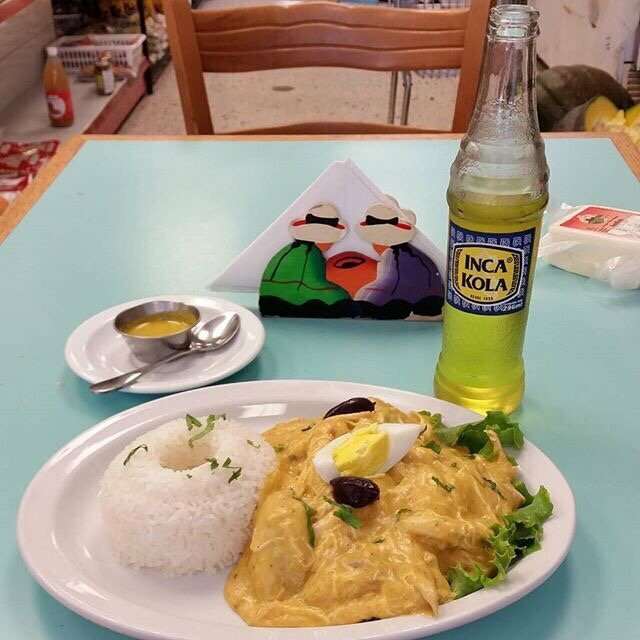 With that said, I suggest to try ají de gallina at least once in Peru. Before I begin talking about Inca Kola, I will inform you that it is a beverage, not a food. Inca Kola was is one of my all time favorite soft drinks ever. Many people who try Inca Kola think that it tastes somewhat like cream soda. Its main ingredient is lemon verbena (plant), that has a very fruity flavor to it. This is what gives the drink a unique taste to many. A quick quote to describe the love Inca Kola receives is, “Russia has its vodka, Germany has its beer, France has its wine, and Peru has Inca Kola — a fruity, greenish-yellow carbonated drink that many Peruvians savor almost as much as the British enjoy their afternoon tea” (Calvin Sims). If I were you, I would drink Inca Kola every day spent in Peru. Here we are again at the end of another travel guide post. I only have a few tips to share with you this time. They will be straight to the point. Peru is a marvelous country, and places like Cuzco and Machu Picchu are beautiful, but they require a lot of walking. I will stress to you to bring at least two good pairs of walking/running shoes. I will also recommend that summer/spring is the best time of year to travel to Peru. The weather is great, and the scenery couldn’t get any better. Finally, I would be prepared for the high elevation. The air can get very thin and lead people to feel very sick. If this happens, make sure to rest right away and get something to eat. Besides the low oxygen levels, Peru will do nothing but amaze its visitors. This weeks first destination will be a little more specific. Instead of focusing on a whole country, I will be writing about a particular city. The city of choice is London, England. I will still continue with my routine of two points of interest, two foods to try, and some tips. I chose Big Ben as a point of interest because it is a fascinating tower that should not be missed. A quick fun fact is that “The Houses of Parliament and Elizabeth Tower, commonly called Big Ben, are among London’s most iconic landmarks and must-see London attractions” (London & Partners). The Big Ben also stands at around 315 feet tall. Big Ben was built in 1859, and inside there are 11 floors. There is a lot of art and history associated with the Big Ben that can be found interesting for many tourists. The bell inside Big Ben has cracked two times, once in 1857, and again in 1859. This tower is truly a sight to see. The London Eye is another very popular tourist attraction in London (actually considered the most popular). It is a giant Ferris wheel located near the Thames River. It is the biggest Ferris wheel in all of Europe. At around 445 feet tall, it takes 30 min to do one full revolution. Each capsule can hold up to 28 people, but for the three million visitors that come every year, 28 is not a lot. Throughout most of the ride, the London Eye gives tourists an exceptional view of the entire city. For 37 dollars, you can gain an experience you will never forget. Shepard’s Pie is an iconic dish in England for all. This plate originated from both England and Ireland. This dish is usually cooked with lamb or mutton (a type of goat meat). The vegetables included in this plate are onions, potatoes, and peas. While the onions are mixed in with the meat, the potatoes top the dish after being mashed and then the whole dish is baked. The peas are served on the side at the very end. An interesting fact that I learned while I was in London was that if Shepard’s Pie is made with any other kind of meat besides lamb or mutton, it is called Cottage Pie. If you ever find yourself in England, you should definitely try this plate. 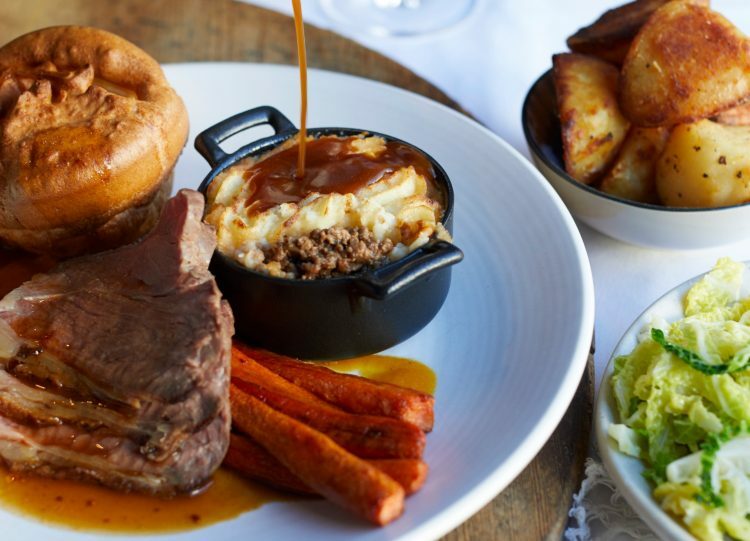 Another popular food in England is a main course meal called Yorkshire Pudding. Don’t confuse its name with a dessert! This food item is made of a baked pudding that includes batter made with eggs, milk, and flour. There are a variety of ways to serve this dish. It can be accompanied by onion gravy, mashed potatoes, or different meats. Yorkshire Pudding is another popular food among the poor. Regardless, it is worth a try! Once again, I have many tips to share with you for your future trip to London, England. I suggest staying in London at least five days to hit all the main attractions. With all the attractions, there is a lot of walking, so bring a pair of comfortable sneakers! I also recommend taking advantage of the subway, or buying some “hop on, hop off” bus passes because this city is huge. In my opinion, the best time to travel to London is in the fall because the weather is very nice. It is not too hot or too cold, too sunny or too rainy, it is usually just partly cloudy with little rain (so still bring an umbrella). Finally one can’t miss out on taking a picture with the bright red telephone booths all over the city. London really is the place to be!